Over 29 new varieties of cider apple have been created following a selection and propagation process that started in 1984. With many being harvested for the first time this year. The new apple varieties have in the main been given female names – Lizzy, Amelia, Amanda, Jenny, Hastings, Connie, Helen’s Apple, Jane, Tina, Vicky, Naomi, Nicky, Angela, Gilly, Willy, Joanna, Maggie, Hannah, Jean, Sally, Fiona, Tracey, Eleni, Betty and Debbie. There is a royal connection with the naming of another as Prince William and three other varieties Three Counties, Shamrock and Early Bird make up the new batch. The final apple selection was made in 2007 and a first crop is being harvested in 2011 to join the existing 365 varieties already grown in the UK. 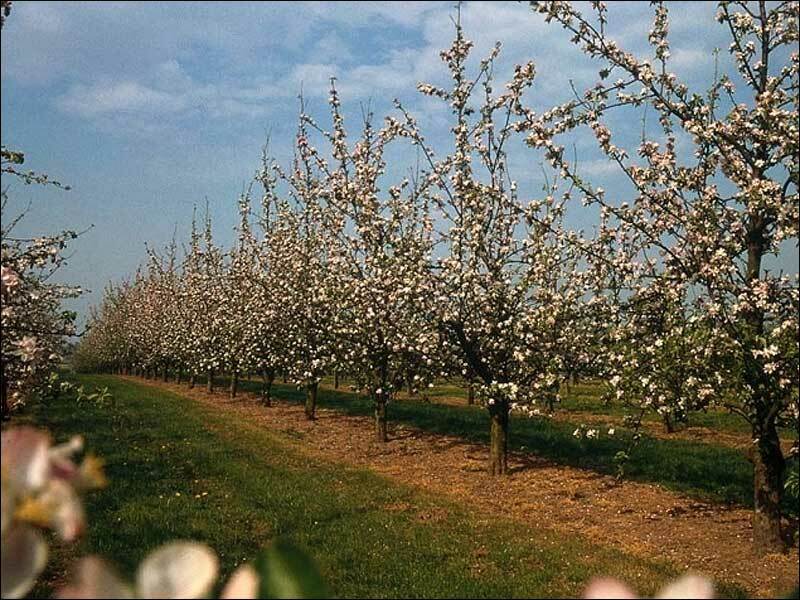 It can take up to five years for new orchards to produce apples and it is typically ten years before the grower will breakeven following the investment to plant a new orchard. Over two million new cider apple trees were planted between 1995 and 2006. Many of the new varieties of apple have taken 25 years to breed . Harvest is an important and exciting time but even more so given the time and effort invested to produce new varieties. The long-term project is being managed by NACM as part of ongoing research to improve the quality of apples available to cider makers. Working on the project throughout has been Liz Copas, consultant pomologist to the NACM and a leading authority on cider apples. One new variety has even been named ‘Lizzy’ after her. She said: ”Harvest is an important and exciting time but even more so given the time and effort invested to produce new varieties. Cider apples differ from culinary and dessert fruit as the cider maker is interested in what flavours are present in the apple juice to be able to produce a range of styles of cider are possible. The hundreds of varieties of apples each offer different levels of tannin, acidity, astringency and natural sweetness – all the components that combine to produce the flavours and character in cider, just as in wine. Britain’s cider harvest gets underway a month earlier than usual in 2011 due to the warm spring weather, and growers are expecting a bumper crop. Over 200,000 tonnes of apples will be picked within the next ten weeks. Nearly half of all apples grown in the UK are used to make cider and many thousands of acres of new orchards have been planted in the last 15 years to keep pace with the increasing demand for the drink. Gabe Cook, spokesman for the National Association of Cider Makers (NACM), said: ” An early harvest is an encouraging sign for the industry. ”The harvest has started earlier but then we saw an early blossom in spring. Around 10 million hectolitres, or 1.76 billion pints, of cider are enjoyed by UK consumers every year according to the NACM.